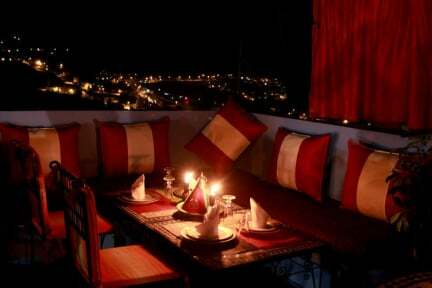 Casa Blue City i Chefchaouen, Marokko: Reservér nu! 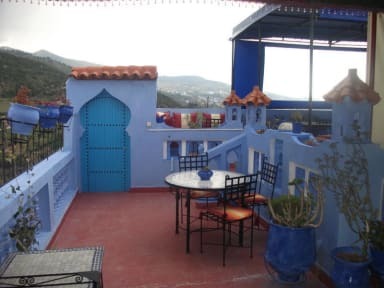 The guest house Casa Blue City is located in a neighborhood nearby the famous square Ota Hammam or the historical monument of Chefchaouen, the Kasbah, and also a just 10 minutes' walk the vital source 'Rass Elma'. The only water source for the city of Chefchaouen where you can admire the gushing water through a large rock with a beautiful mountain. Property with 24 hours check-in and check-out. Payment types accepted at this property: only cash accepted on arrival. In case of no show or late cancellation, you will be charged the first night of your stay.